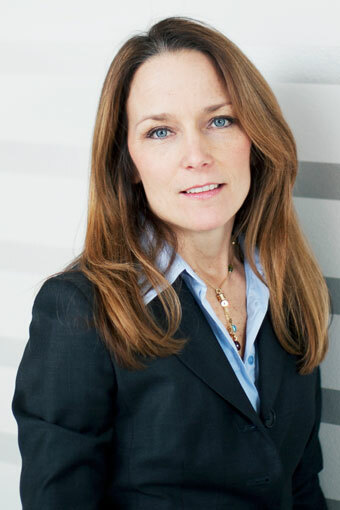 Ericsson (NASDAQ:ERIC, news, filings) has appointed Elaine Weidman-Grunewald, Vice President and Head of Sustainability and Corporate Responsibility (CR) to Ericsson's Global Leadership team, effective May 7, 2014. In addition, Weidman-Grunewald will also assume the role as Head of Ericsson Response, which will become part of Sustainability and Corporate Responsibility. Hans Vestberg, President and CEO, Ericsson, says: "Sustainability and CR is increasingly integrated into our business strategy. I firmly believe that this enhances our competitiveness, and that the actions we take today will enable positive business outcomes in the future. With the appointment of Elaine to our Global Leadership Team we are reinforcing the importance we place on robust governance and processes in place to conduct business sustainably and responsibly." There is increasing evidence that broadband, mobility and the cloud are creating the Networked Society - where anything that can benefit from being connected will be connected in the future. In this changing world, Information and Communications Technology (ICT) is a powerful lever for advancing sustainable development. Millions are benefitting from the unprecedented growth in connectivity. Broadband is optimizing delivery of education and health care, fostering financial and social inclusion, and reinventing cities with intelligent grids, smart transportation and more. Ericsson Sustainability and Corporate Responsibility focuses on three key areas: Conducting Business Responsibility, Environment and Climate Change, and Technology for Good. Weidman-Grunewald said: "I look forward to further strengthening Ericsson's focus on Sustainability and Corporate Responsibility at the global leadership level, where we can continue to drive and develop our responsible business approach toward many stakeholders. At the same time I see great opportunity to drive development of sustainable solutions for our customers while making a positive impact in communities across the globe." In addition to the current areas of focus, Weidman-Grunewald will assume the role as Head of Ericsson Response, which will become part of Sustainability and Corporate Responsibility. Ericsson Response is the company's global employee volunteer program that provides communications expertise, equipment and resources to assist humanitarian relief organizations in responding faster and more effectively when disasters strikes. Since 2000, Ericsson Response has deployed employee volunteers and ICT support to over 40 relief efforts in 30 countries. Weidman-Grunewald holds a double Master's degree from Boston University's Center for Energy and Environmental Studies, in International Relations with a focus on social and economic development issues, and Resource and Environmental Management. Ericsson's Global Leadership Team comprises the Executive Leadership Team as well as the heads of all Ericsson's ten regions, Head of Licensing and IPR, Head of Business Unit Modems and the Head of Customer Unit Vodafone.